The popularity of boxing betting rose considerably before the historic Mayweather-McGregor in August 2017. This fight had the world watching in anticipation, wanting so desperately to bet on McGregor (the underdog) for his enthusiasm and brawl but being level headed enough to bet on the legend that is Floyd Mayweather. This fight culminated in the biggest bet yet, on a boxing fight, when one customer strolled into a William Hill Sports Book with over $1.2 million dollars in cash and put it all on Floyd “Money” Mayweather at odds of -500. The day before this, a customer wired in $300,000 for Mayweather to win. This meant that the bettor won only $180,000 when Mayweather won the match in August. Not the greatest return, but not bad considering the overwhelming odds. So why these crazy bets when you’re bound not to make a great return even if you bet correctly? The odds on Mayweather at some bookkeepers started out at -2,250, (based on the US Moneylines method of betting) which meant that the undefeated boxer was a huge, overwhelming favorite. No one wanted to wager that much on such a small payout. But when bettors kept betting like mad on Conor McGregor, the odds kept moving, finally getting to -550, which is great value for a heavy favourite who is almost guaranteed to win the fight. It seems bettors were convinced that this would move even more as the McGregor bets continued to stream in and the gap between the two decreased considerably. 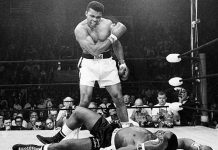 What can we learn from this epic battle in boxing betting history? There is a lot more to sports betting than just picking a winner. Because Mayweather (a professional boxer who has never lost a boxing match) was the heavy favorite against McGregor (an MMA fighter making his professional boxing debut), you would win less than the amount you wager if you bet on Mayweather to win. Conversely, you could have hit the big time winnings by betting on the underdog. At one point Mayweather was a -400 favorite and McGregor was a +300 underdog. Those lines meant that you would need to bet R400 to win R100 for a Mayweather victory and bet R100 to win R300 for a McGregor victory. 1. McGregor to momentarily forget the rules of boxing and throw an MMA-style kick during the match? 2. Who would bleed first? 3. Either fighter get hit so hard that he’ll lose his mouthpiece? 4. Will there be a rematch next year? Oddly enough, Mayweather himself tried to place a bet on himself winning. The wager was for $400,000 on the fight ending under 9.5 rounds at -200 odds, but, according to a source, there were concerns over the legality of a fighter betting on anything other than a straight win, which caused a delay. According to the report, Mayweather also wanted to place a bet on himself to win by knockout but grew tired of waiting and left without placing any bets. Meanwhile Bookies all over the world were sweating at the thought of McGregor actually winning. 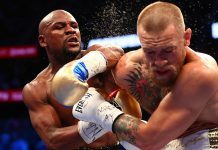 Some Bookmakers in the USA faced seven-figure losses if McGregor defeated Mayweather, with one estimate predicting $48 million losses. Luckily for them this wasn’t the end result. 3. Look at other fun or “prop bets” to bet on in order to broaden your options and extend your bankers roll. 5. Apparently in Nevada there are no regulations around you betting on yourself if you’re a boxer. So there you have a few boxing betting tips to use in the next big bouts to come. Remember to bet wisely, plan your bank roll beforehand and stick to it and do your research.